Whether you have carefully chosen a designer rug, travelled and handpicked a hand woven masterpiece or the rug has been handed down through the generations; area rugs can be a significant investment in the home. Your chosen piece makes an instant statement regardless of size, colour, shape or design, and if maintained correctly, your rug can last for many generations and become a family heirloom. Using non-toxic Woolsafe approved cleaning products, The Oriental Rug Spa, whenever appropriate; use a full submersion “spa bath” process. 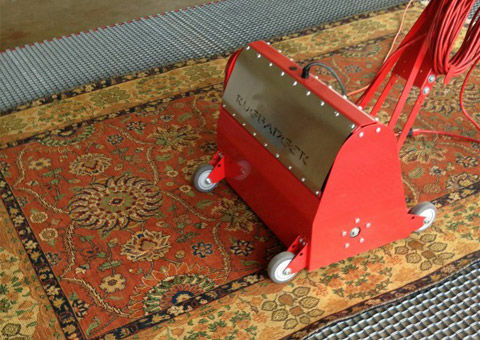 This ensures your rug is cleaned deep down to the base of the fibers, removing damaging dirt, gritty sands and other deeply embedded soils. This practice is recommended by renowned rug experts worldwide as the safest and most effective rug cleaning method, removing the maximum amount of dirt and allergens. It is a far superior method to steam cleaning used by traditional carpet cleaners which can only clean the surface fibers of the rug and cannot get anywhere near the bottom of the rug pile nor remove any of the embedded soils and germs. 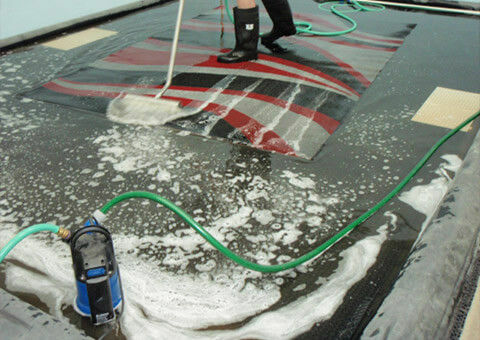 With that being said, our purpose built Rug Spa's, are able to perform a variety of different cleaning methods to ensure your rug receives the correct method for its particular fiber and construction, ensuring the best possible outcome is achieved. Using the wrong method for your rug type can devalue the piece, especially higher end and higher priced rugs. Some rugs are prone to bleeding, shrinking or warping, so therefore a full immersion process may not be suitable, and another cleaning method may be required in that instance. Being the experts, we will pre-test to determine the best method to achieve the best results. 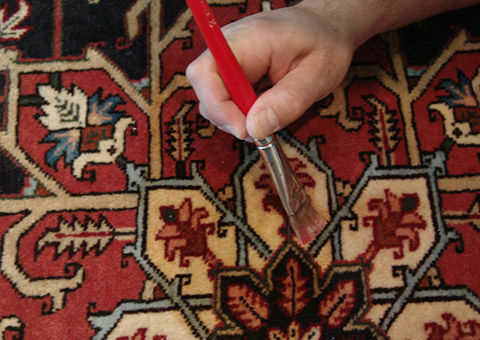 Our Rug Cleaning Professionals not only have an eye for detail but have the highest level of expert training in Rug Identification, Fiber Identification, Rug Cleaning Techniques and Specialised Stain Removal Processes. We are experienced and trained in cleaning all types of rugs from Antiques, Oriental and Persian rugs (including the finest hand-knotted silk and wool rugs) as well as custom made woven floor rugs and shag pile rugs. Customer Service is our top priority and something we pride ourselves on. In an attempt to ease the process, you can either drop-off your rugs at one of our three Rug Spa locations across Melbourne or we can organize a pick-up by one of our friendly staff. 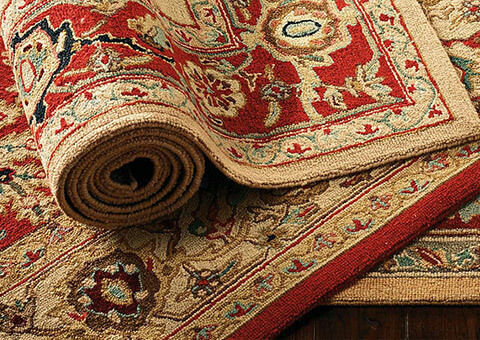 Your rugs can also be wrapped and re-delivered to you when ready. We love rugs at the Oriental Rug Spa, and as specialist in the rug cleaning industry, can guarantee the utmost professional care of your rugs. 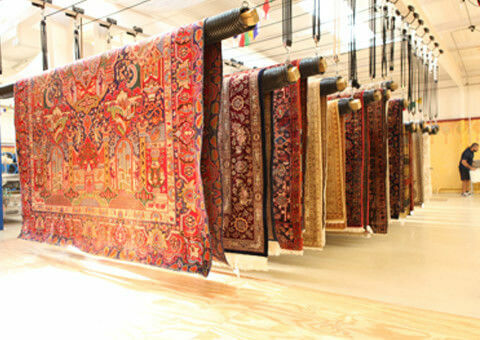 We will love and care for your rug from the moment we receive it until the moment it is rolled back out on your floor. It’s our promise to you.